Mayor John Higham says the New Brunswick government has refused his request for nearly $60,000 to make up for its decision to reduce Sackville’s 2018 municipal tax base by $9.2 million. During a speech today during his annual New Year’s levee at Town Hall, the mayor added that council will now have to decide whether to make up the budget shortfall by further reductions to the town’s budget or by raising property taxes. During a special budget meeting in November, all seven councillors who were present favoured closing the budget gap with small tax increases that would see residential rates go up by one cent to $1.56 per $100 of assessment and commercial rates rise by one-and-a-half cents to $4.545 per $100 of assessment. Councillors are expected to discuss how to eliminate the budget shortfall at their next meeting on January 8th. Higham says the province has agreed to discuss other changes that could improve Sackville’s financial outlook such as including Mount Allison’s student population in the calculations for provincial equalization support; fuller recovery of the costs when Sackville’s firefighters and police respond to emergencies on the TransCanada Highway; and, more compensation for the fire protection that Sackville provides to residents of local service districts outside its boundaries. Moloney Electric building on Bridge St. 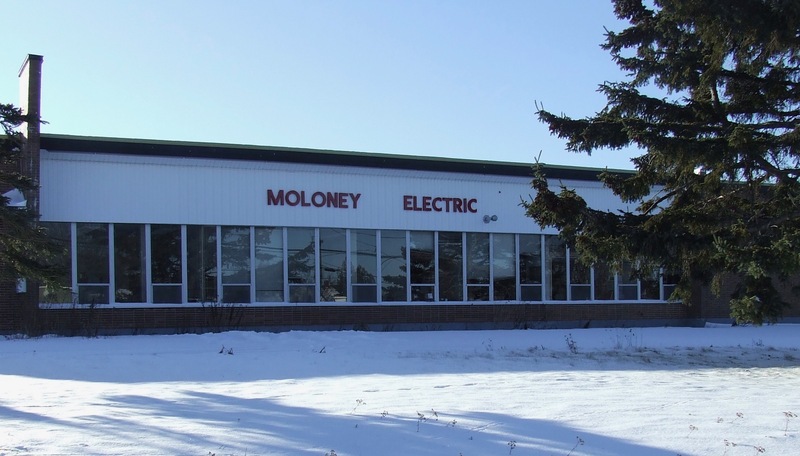 Meantime, Higham says he’s hoping to hear soon about whether an Ontario-based company with additional plants in Alberta and British Columbia will be able to buy Sackville’s Moloney Electric building to produce electrical transformers here. About 60 workers lost their jobs when Moloney Electric shut down in 2016. The mayor says Cam Tran, a family-owned company with headquarters near Peterborough, Ontario, has submitted an offer to buy the building and is expecting to receive an answer from the bankruptcy manager this month. “They see this as the perfect addition to their national network,” Higham says adding the company wants to make significant capital investments here. “They like the location, they like the skilled labour and they like the potential for sales both in the Maritimes and in export,” he says. Finally, we got Lorne Street paved. To listen to Marilyn Lerch’s poem, which she read again later for The New Wark Times, click to start the player below. 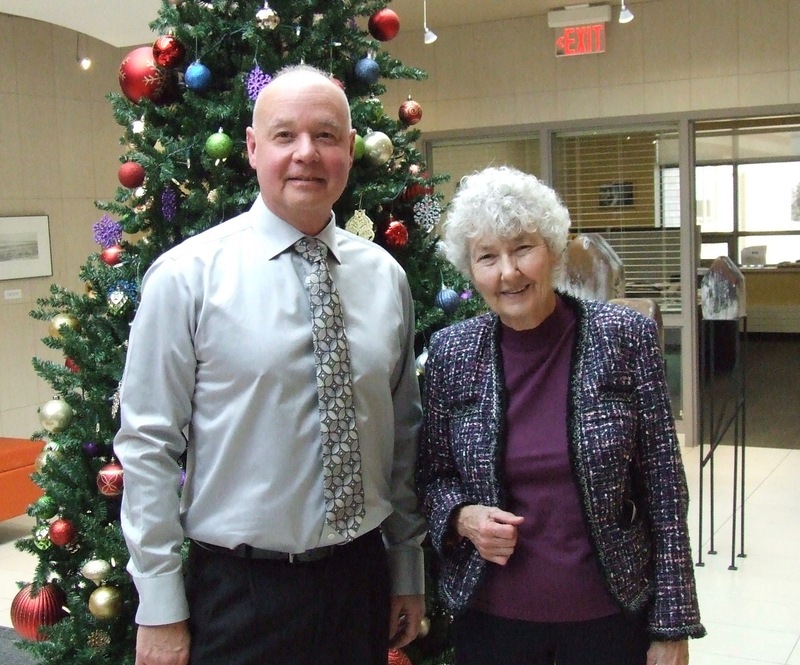 This entry was posted in Town of Sackville and tagged Cam Tran Co. Ltd., Mayor John Higham, Moloney Electric, Poet Laureate Marilyn Lerch. Bookmark the permalink. Will assessments rise? Maybe, just maybe, if the two existing empty industrial buildings, the egg plant and Moloney’s, finally become occupied once again then that will be a start. A 4% drop in our population between 2011 and 2016 (down 227) has resulted in the older homes and businesses taking a dramatic decline in their assessed values. Fortunately, for the Town’s finances, Mount Allison has actually increased in their assessment this year. But — the Town has to stop riding along on the University’s coattail. The drop in assessed values is NOT the fault of Fredericton or the assessors that work for them. This has to do with the pursuit of Economic Development still not being taken seriously by our Town. It needs STRONG ties to Fredericton and Ottawa and a real serious concentrated effort to attract industry and businesses here. An increase in our population will get the assessed value of existing homes and businesses back up to where they belong. The time is long past due for the Town to change course! I was so full of hope for this to happen during our last municipal election campaign but certainly saddened now by the apparent lack of effort that one sees. No surprise that the Municipality didn’t get their $60,000. A couple of years ago the province conducted a review of the electoral boundaries. That is how Tantramar ended up being grouped with Memramcook as we did not have the population to maintain the Tantramar riding. At that time it was presented to the committee conducting the review that the province needs to consider the student population of Mount Allison when determining the electoral boundaries as students do have the right to cast a ballet in a provincial election if they so choose as long as they reside in the riding. This basically fell on deaf ears. So if the province is now changing their mind will they also reinstate the Tantramar Riding as it was previously? It was the Liberal government who did the realignment of the ridings, why do they now value the student population? Maybe the Mayor and Council need to start pointing the finger within instead of point the finger outside as to what is creating the towns financial woes. I just wonder what further repercussions will take place between now and the upcoming fall election owing to the fact that our ‘Town’ was the only municipality in New Brunswick to condemn the pet project of the Premier, the ENERGY EAST PROJECT. Haven’t seen too many ‘gifts’ from Fredericton since that fateful day either as a matter of fact..
Is the Town government a role model for citizens to emulate? One would think that might be the case, in an ideal world. What bothers me is the fact that our Town government is ‘showing’ citizens, by example, that the best way to deal with decreased income is to beg for more money from the next level of government. What if all citizens with such a problem were to approach the Municipality and ask for a grant to cover what they’re missing?! Most of us, when faced with a financial crunch, find ways to cut costs and make do with what we have, or find ways to earn more income in the usual way. We don’t go looking for handouts. Should that not be what our Town Leaders do as well? Or am I too idealistic? It will be interesting to see whether they will go ahead with the proposed tax increase to cover the shortfall, or instead find other ways to cut expenses. Perhaps the town will learn not to waste money – probably somewhere between $150,000-$200,000 on lawyers, in order to make idiotic points about what they can or can’t do with people on the heritage board. Even if they were right, was it worth the money? Is this why the town needs a tax increase? Clearly it wouldn’t be needed otherwise. They could have just waited it out, or just dissolved the board and gotten rid of the whole sad lot, saved all this money and had a surplus instead. Maybe the province realizes how stupidly managed the town is and is indirectly sending a message? Marika, I can only agree with you, especially on your last point. Thank you. I read an earlier exchange of comments between Azi and Percy Best a couple of weeks ago. Thanks too for raising the same point as Marika… I also read your comment Sharon (Hicks). Interesting to read too. To come back to your comment Marika, knowing myself, I would have diplomatically replaced *stupidly* by *unwisely* 🙂 in your last sentence, which goes like: “Maybe the province realizes how stupidly managed the town is and is indirectly sending a message?”…. This being said, on that particular heritage volunteers file, *stupidly managed* is sadly more accurate, I have to admit (LOTS of public money is involved here)! On other files, we see a much better performance from our town and, at times, it is reassuring to see excellence. So why can’t the Town of Sackville be consistent in its financial performance? Why can’t it more accountable to its citizens by simply being transparent on the costs of this legal saga that ended in 2017? This would help turn the page on a new brighter chapter in our town to start FRESH with the new year. As far as I am concerned, I would have hoped for public apologies to Louis Béliveau and to his peers on the heritage board before the end of the year…. but I guess, sometimes in life, we cannot ask some folks for much efforts. They are who they are. In other terms, they can only behave according to whom they are… unless they decide to surprise us by rising above themselves in the new year. Public apologies take courage. It is never too late to be brave, I personally think. This being said, brave or not, Happy 2018 to all of us in Sackville, including those folks (with or without public apologies…. life is too short)!